When I was 15, my uncle Kenneth gave me a Minolta 35 mm camera, totally manual–even the f-stop. He loves photography and taught me to love it as well. The first thing I wanted to do was shoot pictures of trains. 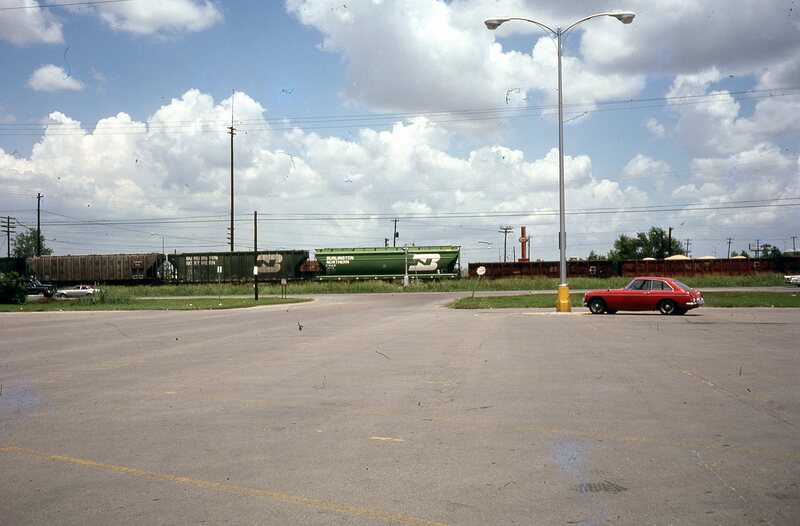 So when my mom said she needed to go to Fed-Mart on Mykawa road across from a mouth into the Mykawa freight yard and near the crossover of the Southern Pacific right there as well, I was ALL in. 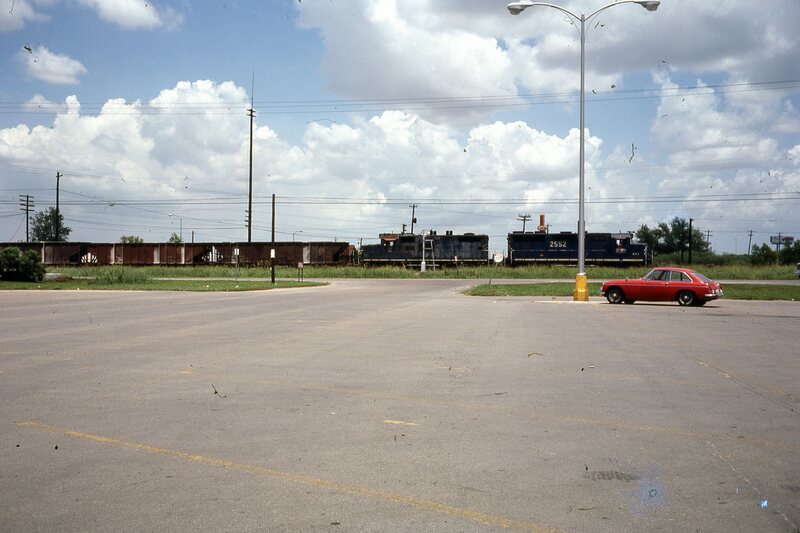 Here are some pictures of the first train I shot in 1978. In this post, I will do “an around the horn” discussion of the proposed customers along the line, starting east and working our way southwest to the end of the SP-DRGW line. 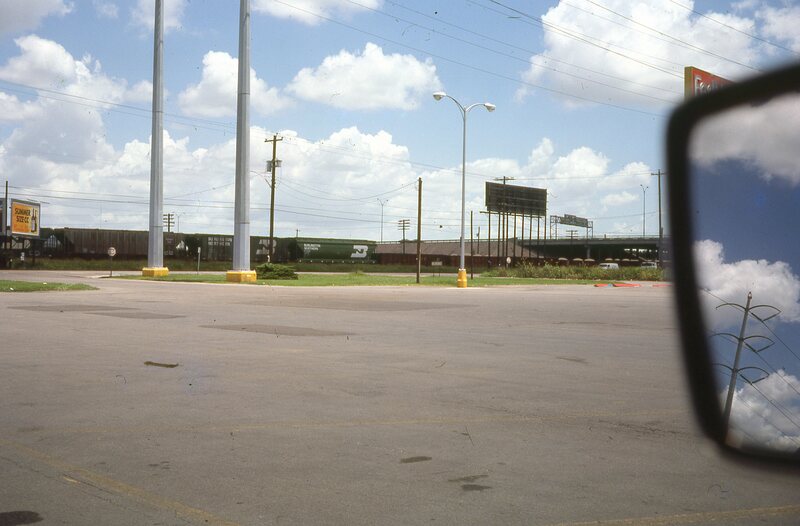 The customer to be behind the ATSF box car is Hernandez and Sons Beverage Distributors. It is the region’s Budweiser distributor. Beer cars bearing SP, UP, MP, WP and ATSF reporting marks will arrive full of “Suds.” Business is usually a couple of loads a weeks, except for the holidays. Last Christmas, there were five cars at once in town for this shipper. 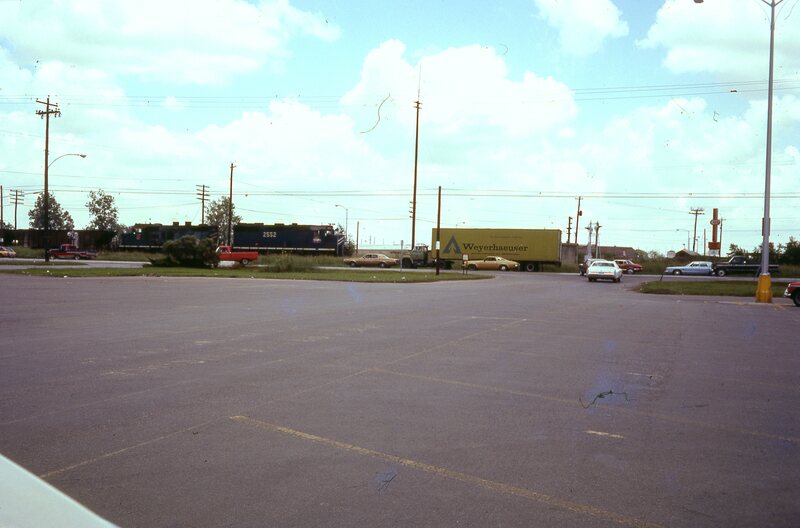 In fact, a couple of boxcars were unloaded off the grain elevator track directly onto trucks for delivery. You might say the boxcars served as a warehouse addendum for a few days. Continuing down the line further into town, we see Mountain West Transload (where the two dirty UP boxcars are spotted). Business is often boom or bust with MWT. You may see strings of reefers loading onions or potatoes for a couple of 2 or 3 weeks, and then see very little traffic for a month of two. Bagged beans and scrap paper are often loaded in boxcars as well. MWT is toying with transloading corn syrup and cooking oil for a couple of factories in the valley, so tank cars may appear in the future to help provide more regular traffic. 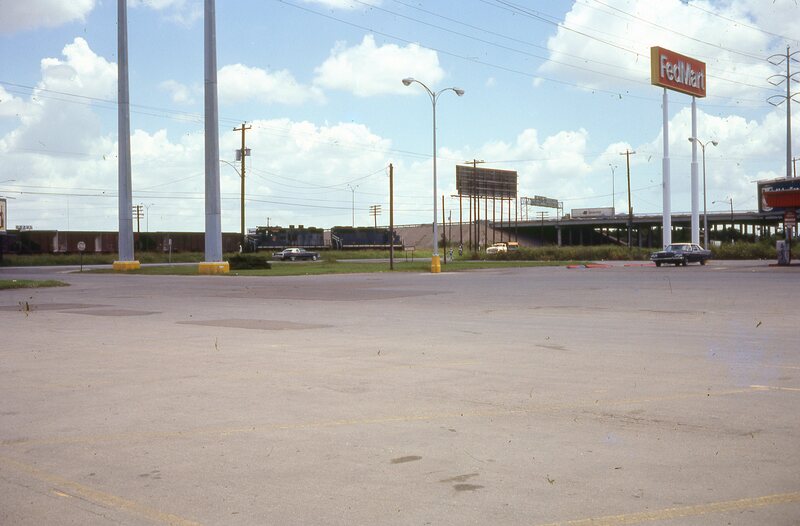 Across from MWT sits the Carrizo Valley Co-op. It is a full service co-op, but the primary traffic is wheat loading. During the wheat season, six car strings typical load a few dozen times. The 2 to 3 times a week service from SP-DRGW can become almost daily for a brief stretch. Aside from wheat loading, the Co-op can receive other loads from time to time–box cars and covered hoppers of feed, off and on, the Co-op will handle molasses for cattle feed and an occasional box car of ranch supplies such as barbed wire or building supplies, etc. Last year during a quiet time at the co-op, the county highway department used the track to off load a few covered hoppers of highway salt. Here on, the next couple of customers are on the SP-DRGW, but actually serviced by the Pinedale and Limpia Creek. The P&LC runs 25 miles up into the foothills into the Carrizo National Forest to service a medium-sized sawmill and a few other infrequent shippers including a scrap dealer, feedmill and a mining supply in Jimenez. Occasional loads of acid and feed come in and scrap metal out. However, 95 percent of the freight is outbound lumber and wood chips. Here just outside town, sits Consolidated Perlite. Except in the dead of winter, Consolidated Perlite will load anywhere from 3 to 8 cars a week. It is a good reliable customer. 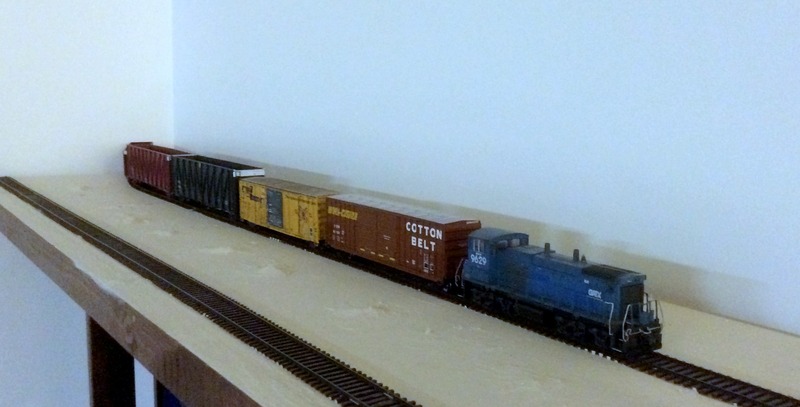 I will be kitbashing Walthers’ Cornerstone Diamond Coal Corporation to construct the loading and processing facility. Further towards the southwest sits the scoria loading area. A couple of mines truck their production to this loading site. Jimmy has a contract with both of them to load here. As long as the weather cooperates, Jimmy is good for 2 to 4 loads a week. At the end of the SP-DRGW line, we see the P&LC train coming into town. The train will service Consolidated Perlite and Jimmy’s Scoria before setting out the interchange with the SP-DRGW. Pinedale and Limpia Creek train coming onto the SP-DRGW main. All the names I have used are just working names. The actual business, etc., may change names as the layout progresses. I will see how they wear over time. 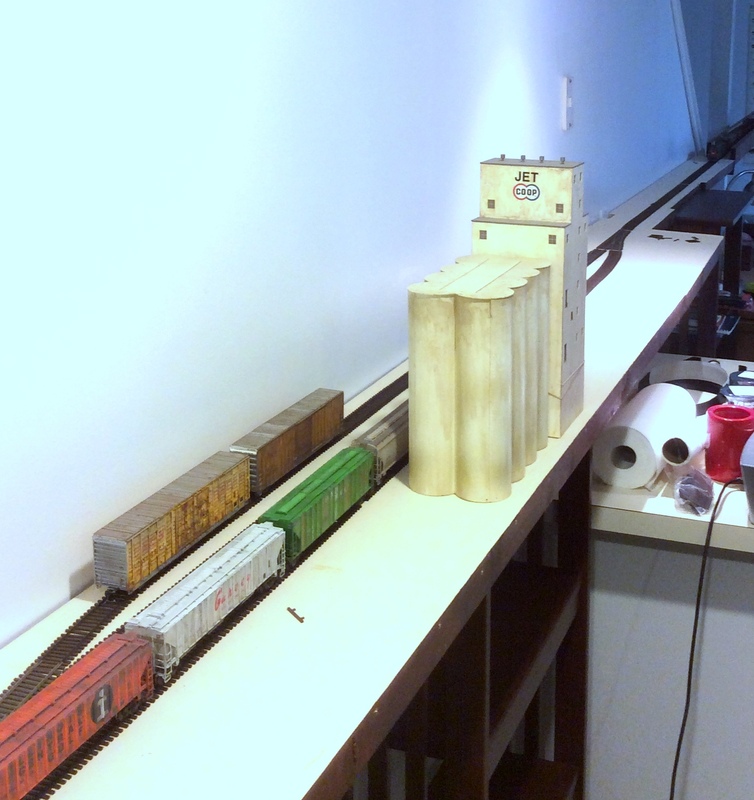 Well all that’s left is to do is — all this stuff — wire the layout, build the buildings, weather the locomotives and cars, construct the scenery, etc, etc. Looks like you won’t be seeing many posts from me for awhile. I have a layout to finish! I will try to provide an occasional post. I have been doing this site about a year, so it is time to slow down anyway–work on the layout, write my book, go hiking and do all the other things I must and want to do! I hope you have enjoyed the site. I am not going away, just slowing down. Happy trails from Rails West!